In a previous article, we discussed the history and origins of Swedish Massage. In it, we explained that the name Swedish was misnomer that arose due to translation mix-ups. Per Henrik Ling, a Swedish medical pioneer and founder of the Swedish Gymnastics system, often gets credited with inventing the modality. 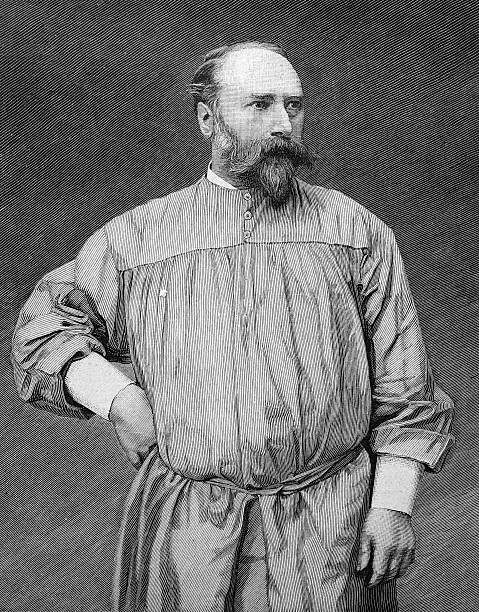 However, the actual inventor of Swedish Massage is Johann Georg Mezger, a Dutch physician who was noted for studying French massage techniques and their effects on physical healing. It was Mezger, not Ling, who codified the five massage techniques that form the foundation for Swedish Massage. In this article, we will discuss the five techniques of Swedish Massage. What are the Five Techniques of Swedish Massage? Let’s discuss these techniques and analyze their different applications. Swedish Massage begins with a set of stroking movements known as effleurage. Effleurage is a French word that means to lightly touch or to skim. This technique consists of a series of long, gliding or circular massage strokes that is applied using different degrees of pressure. Effleurage is applied to a patient’s body to loosen muscular knots and to release tension. It is performed at the beginning of a massage therapy session to warm-up the muscles and at the end of it, to soothe them out. Feather or Nerve Stroking: This is the lightest of the effleurage approaches. It consist of applying very light fingertip pressure across the surface of the body. It is primarily used for generating relaxation and does not have much effect on the neuromuscular system. As such, feather stroking is not commonly utilized during a typical massage therapy session, although it is often utilized for head massages. Superficial Effleurage: This is the most common approach to utilizing effleurage. It is used at the beginning of a massage to apply oil and to warm up the body’s muscles and tissues. The strokes are performed by using an open-palm across a wide area of the body with varying degrees of pressure to promote blood circulation. Deeper Effleurage: This approach is similar to superficial effleurage, but utilizes more pressure on particular areas of the body, especially on areas that are tense and heavily knotted. After the muscles have been warmed up with the effleurage strokes, the next technique that follows is petrissage. Petrissage comes from the French word pétrir, which means “to knead.” The technique generally applied by manually compressing soft tissues of an area through rhythmic kneading, squeezing, and/or rolling. These movements are particularly useful for stretching and loosening tense muscles, which also aids in improving blood circulation and helps to detoxify the body. Kneading: Kneading is the most common of the petrissage approaches and the motions are often compared to those a barker makes when kneading dough. It is applied by lifting the soft tissues of an area, then squeezing and rolling it back in a slow and circularly rhythmic fashion, using both palms. The amount of pressure that is applies varies, but kneading is particularly useful for deep muscular penetration. Wringing: Wringing is similar to kneading, expect that is begins by compressing the soft tissue area against its underlying structure (bones, etc.) before being lifted, squeezed, and rolled back. Rolling: Rolling is applied by lifting and squeezing the soft tissues in a side-ways pattern. This petrissage approach is applied to either the muscle fibers (Muscle Rolling) or the epidermis (Skin Rolling). Lifting (Pick up and Squeeze): Lifting is similar to kneading, but rather than applying the compression movements with both palms, it is performed with the thumb, index, and middle fingers. Because petrissage can be applied in many different ways and with varying degrees of pressure, it offers many therapeutic benefits to patients with tense or injured muscles. As such, petrissage usually takes up the majority of the time in a Swedish Massage Therapy session. In Swedish Massage, Friction refers to a firm and focused rubbing technique that is applied to a specific area, usually using just the fingers or thumbs. Compression is often applied in a circular rhythm (Circular Friction) or in perpendicular rhythm (Transverse Friction). The combination of precision and pressure makes Friction ideal for softening and realigning tense muscle fibers and for treating particular joints, such the elbow. As the name suggest, the vibration technique is applied by rhythmically shaking an area of the body to loosen and relax the body. The intensity and pressure of the technique depend on the area of the body that is being treating, but it can performed in many ways, such as using both palms across a large area, such as the back or the fingers on small and sensitive area, such as the face. It is especially useful for soothing nerves and treating areas with lots of scar tissue. Tapotement is a French word that means to tap or to drum. This technique consist of applying rhythmic tapping across patient’s body. The tapping sensations are used to stimulate the flow of blood and endorphins in body. As such, tapotement is particularly useful for relaxing tight muscles and for draining lymphatic build up. Beating or Hammering: Tapping using a closed fist. This approach is particularly useful for applying general force over a large area, such as the back. Hacking: Tapping using the edge of the hands. Hacking is particularly useful for applying firm force to a small area. This is the most common tapotement approach and is often described as “karate chopping” by laypeople. Slapping: Gentle slapping using the palms of the hands. Slapping is particularly useful for muscular stimulation. Tapping: Rapid tapping using the fingertips. This is the lightest approach in terms of force and is used on patients with particular sensitivities. Cupping: Tapping using a cupped hand. This approach is used to apply deep force across a larger area. Now that you know what a Swedish Massage actually is and know about its five techniques, you’re probably wondering what the specific health benefits of Swedish Massage are. While these techniques sound good in theory, what does the science say about their effectiveness? In our next article, we will analyze the health benefits of Swedish Massage by analyzing peer-reviewed studies. If you found this article interesting, then perhaps you should consider a career in Massage Therapy. Acupuncture and Massage College offers a Massage Therapy degree that can be completed in 9-months. If you’re interested in learning more about career in massage, download the ebook below. Acupuncture and Massage College is located in Miami, FL.